Fourth-graders at North Jefferson Elementary School in Kearneysville, Jefferson County prep dirt for planting in one of their three raised garden beds. Fourth-graders at North Jefferson Elementary School in Jefferson County are spending a portion of their morning learning outside of the classroom…in the front lawn of their school. Back in January, on a rare, warm winter day, these kids planted their first seeds in three raised vegetable gardens. They designed and built the gardens with the help from their teacher Jim Jenkins and a newly formed community group based out of Charles Town called the Kiwanis Club of Blue Ridge West Virginia. 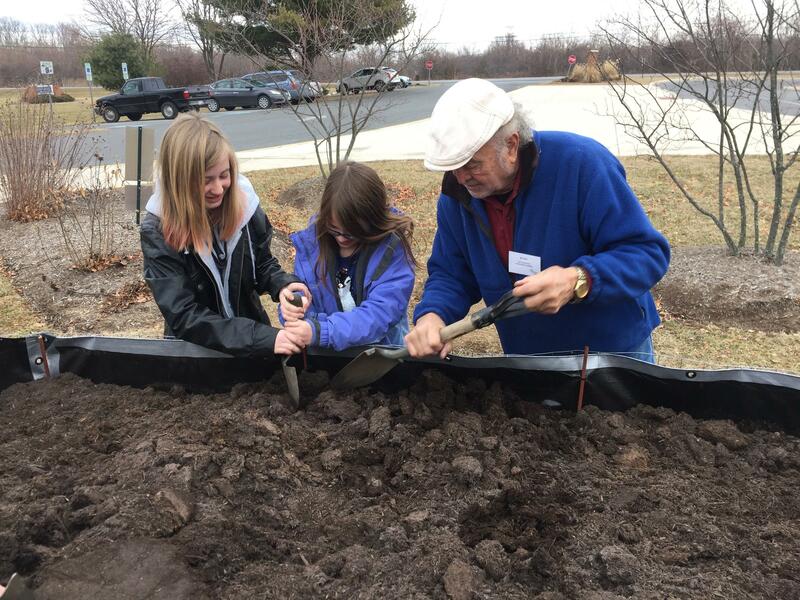 Kiwanis Club of Blue Ridge West Virginia member Roger Ethier helps two students dig in the dirt. This local chapter of the Kiwanis Club is a member of the Kiwanis International group, which says its focus is to empower communities and improve the world by making a difference in the lives of children. North Jefferson Elementary School is one of more than 340 Title I public schools in West Virginia. That means, most of the students at North Jefferson come from low-income households, so the school gets federal financial assistance to help ensure its students meet state academic standards and get as many of the same opportunities as other schools. 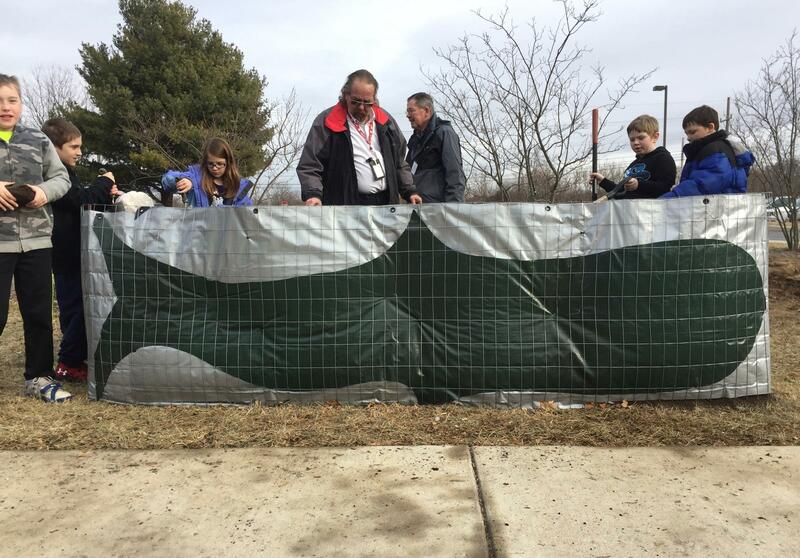 The Kiwanis Club stepped in to help enrich educational opportunities at the school, but wants to go beyond three raised garden beds. They hope to secure private and state funding to revitalize the entire schoolyard behind the school, turning it into an outdoor classroom. Jenkins, the students’ teacher, is excited for it. 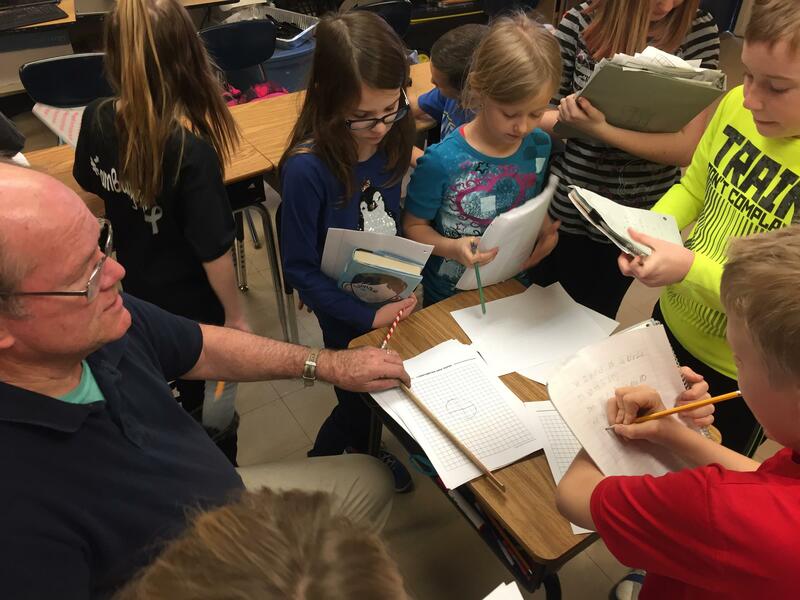 Students step back inside the classroom with their teacher Jim Jenkins to graph out the best locations in the soil to plant their seeds. Behind the school, the hope is to create a variety of seating areas and outdoor learning stations. Jenkins hopes to teach not just science out here, but also writing, math and social studies. “This is an ideal location for an outdoor classroom,” said Roger Ethier -- also a member of the Kiwanis Club of Blue Ridge West Virginia. He’s been spearheading the outdoor classroom project at North Jefferson. “When the students finish the outdoor classroom, they have this beautiful outdoor area where they can hop, skip, and jump, and just have a great time." Ethier says this outdoor classroom project was inspired by a successful initiative in Boston, Massachusetts called the Boston Schoolyard Initiative. The Boston project lasted almost 20 years, and by the time it ended in 2013, more than 80 schoolyards in Boston were revitalized from barren asphalt lots to centers for recreation, learning and community life, including 33 outdoor classrooms. Kristin Metz was the Director of Education for the Boston Schoolyard Initiative for thirteen years. She and teachers involved in the Boston project participated in a study where they reported observing significant growth in students as outdoor classrooms were more utilized – from deeper interest and confidence in science coursework to a sense of equality among their peers. “It leveled the playing field that students who had very different life experiences could come together and share what they were doing outside, and that gave them more respect for each other,” Metz said. Metz says she thinks the same thing could happen for the students at North Jefferson – many of whom come from low-income homes. According to a 2011 study done by the National Center for Education Statistics, students in the United States who come from low-income homes are five times more likely to drop out of high school than middle-income students. 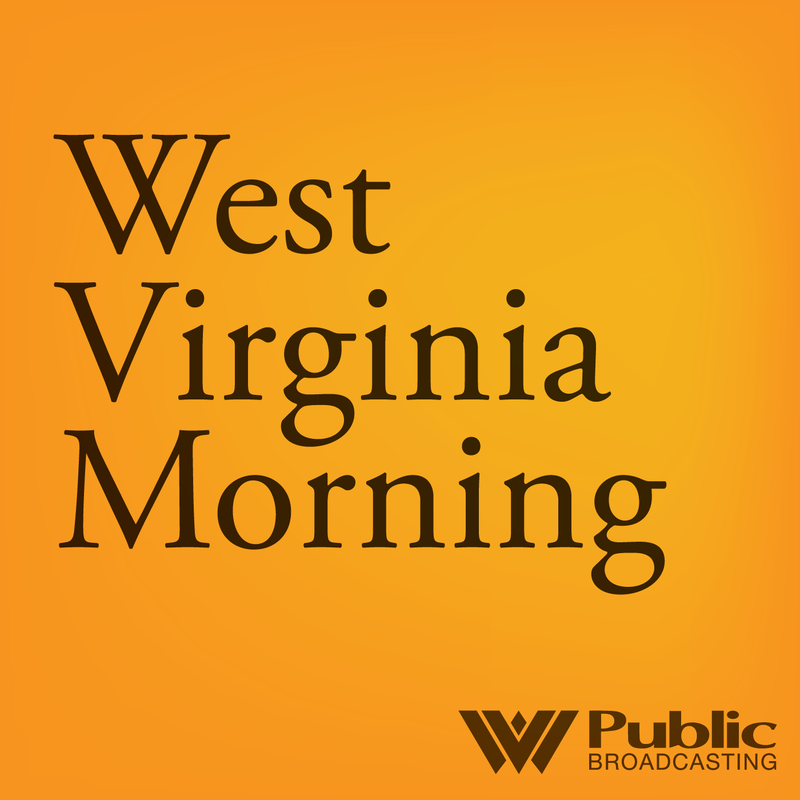 In West Virginia, one out of every 100 students dropped out of high school during the 2016-2017 school year, according to state sources. One of three raised garden beds at North Jefferson Elementary; the Orca garden. What's Next for North Jefferson Elementary? 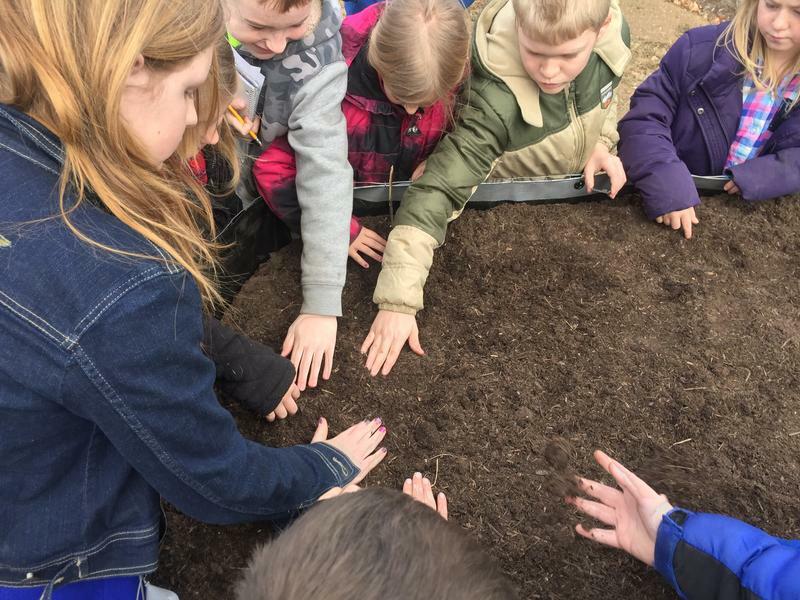 The Kiwanis Club of Blue Ridge West Virginia has continued to develop school gardens at North Jefferson Elementary over the school year, but still doesn’t have the funds to build out the full outdoor classroom. They hope to hear soon about a state grant that would allow them to make progress. As the school year nears its close, the students at North Jefferson now have spinach and lettuce growing in their gardens, and they’ve recently planted strawberries. A solar panel was also installed to provide rainwater irrigation to support two butterfly beds and the raised gardens.